Publication Information: Spiegel & Grau. 2014. 320 pages. Favorite Quote: "You grow up feeling the weight of blood, of family. There's no forsaking kin. But you can't help when kin forsakes you or when strangers come to be family." Lucy Dane is growing up in a small town. The townspeople still speak of how her mother disappeared when Lucy was very young. It was a mystery that was never solved. Now, Lucy's friend Cheri has disappeared and is found murdered. Are the two events related? Is it a coincidence? Is there more going on in this sleepy little town than meets the eye? Lucy sets out to discover the truth. What she finds about herself, her family, and her community is beyond what she could have imagined. Without giving a spoiler, I did not expect this book to end up where it did or take on the issues that it did. Henbane is described as a small town in the middle of the Ozark Mountains. The plot line is very unexpected given the small-town, rural setting. The book goes back and forth between two perspectives - Lila as she arrives alone in the town on Henbane and Lucy as she seeks to determine what happened to her mother and to Cheri. Since so many of the characters are the same in both time periods, I found myself sometimes getting a little lost in the story. I had to make sure I read the chapter heading and focused on the names to remember whose story I was in. A serious and sad book about family and violence. A well-written debut novel. I do look forward to see what Laura McHugh writes next. 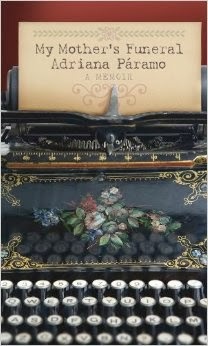 Publication Information: Little, Brown and Company. 2014. 352 pages. Book Source: I received this book through the GoodReads First Reads program free of cost in exchange for an honest review. The book arrived as a paperback advance reader copy. Favorite Quote: "No tale stands along, for just as one cannot speak of the future without paying due reverence to the past, one cannot sing the ballad of a single life." Polly Kimball is a fifteen year old growing up in the 1800s in Massachusetts. She lives on a farm with her mother, her younger brother, and her abusive father. They barely scrape by, and Polly lives in constant fear of and constant anger against her father. One day, things come to a head, and Polly sets fire to the family farm, killing her father. She escapes with her mother and brother. It is then that the mother May seems to awaken from years of abuse. She brings Polly and her brother to a Shaker community and leaves them there for she thinks that they will be cared for in way that she is unable to. The community is one of strict rules and very certain ways. This, however, is also a time in which certain Shaker communities have received mystical visions. Polly seems to be blessed with these visions at the City of Hope, and as such, gains prominence in the community. She has told no one of her past and struggles with that secret. Sister Charity, an orphan raised in the community since infancy, becomes Polly's friend. Polly's story becomes one you read often - abuse and its terrible consequences. Around Polly's story are other stories. Charity faces her own struggles to surrender to the rules of the community and to not let emotions get in the way of her service and her obedience to the rules. Simon Pryor is the man investigating the fire at the Kimball farm, but has his own history. I don't see how the details of his story truly contribute to the book. I would rather have known more about the other characters. The one story that I feel is missing from the book is May's story. She is perhaps the most interesting character in the book, but not developed at all. Here is a young woman who falls into a bad marriage. She puts up with abuse for years and allows her children to be abused. Once she escapes, she also becomes the force to attempt to save her children. I wish the author had explored her story more. An interesting tale, but one that explores certain story lines too much and leaves other more interesting ones undeveloped. Publication Information: HarperCollins Publishers Inc. 2011. 496 pages. Book Source: I read this book based on the publicity for the entire series. Favorite Quote: "I believe in ordinary acts of bravery, in the courage that drives one person to stand up for another." Beatrice Prior lives in Chicago - a dystopian Chicago of the future. The society has been divided into factions based on certain personality characteristics and the development of that characteristic. Abnegation focuses on being selfless. Amity focuses on remaining peaceful. Candor focuses on valuing honesty. Erudite focuses on learning. The Dauntless are the brave. At age 16, all children of all factions are tested to determine the appropriate faction choice. Then, they are allowed to choose. Beatrice is born into Abnegation, but on her sixteenth birthday, makes a surprising choice to leave her family. What follows is her trial period and training for her new faction. Along the way comes rumblings of dissatisfaction among the factions, and ideas that perhaps things should be different. Choices made impact Beatrice's future, her family, and perhaps the future of the society as a whole. The target audience for this book is the young adult market. This story is engaging and entertaining. It certainly pulls you in and is action packed. The plot line for this book is very brief, occurring at the beginning when Beatrice makes her choice and towards the end - which I won't say to avoid a spoiler. The remainder of the book is focused on the often violent, competitive training for Beatrice and her group of initiates. The action, and the sometimes violent descriptions of the action, take over the story. These sequences become the center point of the book rather than the plot line. That, for me, was the difficult part of the book. I am interested enough to read book 2 to see if and how the story develops further, but I hope that the following books focus more on a plot. Publication Information: Delacorte Press, Random House Publishing Group, Random House LLC, Penguin Random House Company. 2013. 239 pages. Book Source: I read this book just because. Favorite Quote: "We can't protect them, or even ourselves. Life happens. We make the best of it .... That's all you can do." Lily Thomas is a young woman training for the US Olympic ski team. She is that good, and has dedicated that much of her life to the sport. Bill Thomas is her fathers - a widower, a successful business man, and a man whose world revolves around his daughter. One day, a tragic accident alters Lily and Bill's life forever. This book is about what comes after - about rebuilding a life when all that you dream of and live for can no longer be. Surrounding Lily and Bill are the doctors, co-workers, and friends - each with their own story and their own need for starting over. This book offers a lot of what Danielle Steel fans expect. The people are beautiful. Some, if not many, are "that kind of rich." Things have a way of working out. What I enjoy about this book is that it has a consistent theme running across the different characters in different situations. The theme of starting over - after death of a loved one, after illness, after catastrophic injury, after hardships in life. This theme gives the book a bit more substance and brings the book closer to real life. Publication Information: CavanKerry. 2013. 258 pages. Favorite Quote: "Mom, however, doesn't believe in monsters. She says that the only thing we need to be afraid of is people, especially men." Adriana Paramo's was raised in Colombia but now lives in the United States. Her memoir centers around her trip back to Colombia for her mother's funeral, but really depicts a picture of her mother and their relationship, of the joy and the sorrow that are part of each. Her mother, Carmen, grew up privileged, but married young and against her parent's wishes. Her husband drifted in and out of their family's life over the next decades, leaving Carmen to birth and raise six children - five daughters and one son. Adriana is the youngest of the children. The memoir seamlessly moves between time periods - Carmen's early days of love and marriage, Adriana's childhood, and the loss of returning to Colombia for her mother's funeral. Through the tale, we get a picture of two strong women and of their sometimes complicated relationship. Carmen learned to survive alone and hold life together for her children - whether that meant surviving the realization that her husband was not the gallant gentlemen she met, making bone soup for dinner day in and day out, washing and wearing the same set of clothes to always appear neat and clean, or running away in the middle of the night from a landlord demanding rent. Adriana knew that she was an unwanted birth - the youngest in a line when it was difficult enough to care for those who came before. Yet, she also knew that she was loved - memories of Mom making things special. Some instances are described through a child's innocent eyes; yet, they portray the adult reality of how difficult it must have been for her mother to maintain that innocence. The book is part a tribute to the amazing woman that her mother was and part a testament to the love and complicated emotions that are part of a mother and daughter bond. Publication Information: HarperCollins Publishers Inc. 2013. 326 pages. Book Source: I read this book based on enjoying other works by the author. Favorite Quote: "As happens with all miracles, once life goes on, those who believe retell them with wonder. Those who do not, do not." Coldwater Michigan is a small town. Sully Harding has just returned home, to rebuild his life after getting out of prison. He comes home to his parents and his young son. Soon, strange things start happening in the town. People start receiving phone calls from loved ones who have passed away - phone calls from heaven. Is it real or is it a hoax? The whole question goes viral in this day and age of news and the Internet. Media descends upon the town. There are those who firmly believe, and those who firmly disbelieve. Each attempts to prove the other wrong. For Sully, it becomes a mystery to be solved. I am not going to discuss the spiritual belief or disbelief. To me, that is an intensely personal choice, and each person will choose their own path. Regardless of whether you believe or not in the possibility of miracles, this is a fun story to read. The book brings out the emotions of loss and of love in so many different relationships and so many different ways. It is also a testament to the power of the media, especially with the Internet sending events viral within a matter of minutes. At the center of it all, it is Sully's very personal story - of guilt, of love, and of rebuilding. A tale well told regardless of whether or not you look for a deeper meaning. Publication Information: Viking. 2013. 544 pages. Favorite Quote: "They certainly will not show the world 'as it really is', because that cannot be represented. There is simply no such thing as an accurate map of the world, and there never will be. The paradox is that we can never know the world without a map, nor definitively represent it with one." As this list shows, the book is literally a walk forward through history. It covers a length and breadth of the Eurocentric world as it was known at the time. 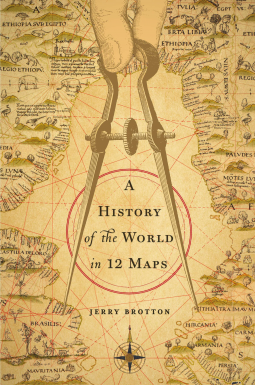 It also presents a history of cartography with its technical and usage innovations. In addition, it presents the history of the time, place, and people behind the map - clearly and repeatedly making the point that a map reflects the interpretation and vision of the mapmakers. This book is dense. It contains a lot of information - on the maps themselves and on the geopolitical climate and events that led to the development of each map. As such, it becomes a history of cartography and a history of the world. At the same time, it is a very enjoyable and readable book. A great pick for anyone who enjoys history or geography. Publication Information: Algonquin Books. 2014. 272 pages. Favorite Quote: "The words you can't find, you borrow. We read to know we're not alone. We read because we are alone. We read and we are not alone. We are not alone. My life is in these books ... Read these and know my heart. We are not quite novels ... We are not quite short stories ... In the end, we are collected works." 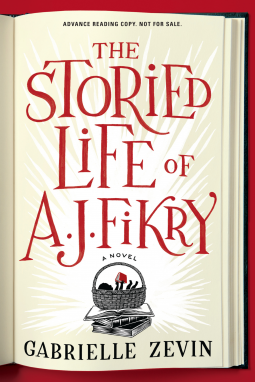 A. J. Fikry is the owner of a small independent bookstore, Island Books, on a small island, Alice Island. His is the only bookstore on the island, catering to the small year round population in the winter and the burst of business that the summer visitors to the island bring. Surrounding him are the visitors to his bookstore, his wife's sister and her husband, the local police chief who becomes a friend, and the book rep of one of the publishers he deals with. A.J. is a little lost. His beloved wife died suddenly. His bookstore is not doing well, and his prize possession - a rare book, of course - has been stolen. He is alone and isolated. One day, an unexpected "package" arrives at his store, and changes his life forever. The story is about what follows that day in A.J's life. Peppered throughout at his notes on a variety of stories, some that I have read and some that are now going on my ever-lengthening to read list. This book has been described as a "love letter to the world of books" which, of course, immediately appeals to me. It's a sweet story of ordinary people getting through life. That is its appeal. It's real. The fact that the setting is an independent bookstore certainly adds to that appeal. The book makes me feel like I am welcomed into the characters' world and become a part of it. I end the book still feeling warm and cozy. At one point, A.J. writes, "People tell boring lies about politics, God and love. You know everything you need to know about a person from the answer to the question: What is your favorite book?" This is one of my recent favorites. Wonder what this tells you about me?